Leessang turns off the TV to go on a stop-motion adventure in their new song. “Turned Off the TV” is an unusual soft and mellow hip hop track with four artists: Gary and Kwon Jung-yul (from 10CM, an indie band) on vocals, Gil and Tasha on R&B-style rap. The song is very pleasant and soothing, and I definitely liked the underlying beat (and the fact that the singer loved his girlfriend enough he turned the TV off for her, haha). “Neol neomuna saranghaeseo, nan TV reul kkeosseo/Saebbal gan, ni ibsul.” (“I love you so much, so I turned off the TV/Your red lips.”) They repeat this part so many times that it has literally been stuck in my head for days. And it is so awesome to listen to while just kind of strolling along, like they do in the MV! Aside from that, I like the steady core beat. This is a great song to relax and drink a glass of wine to (if you can ever get that line out of your head!). Except for “TV” and “yeah,” there isn’t any English. Kind of rare! This MV strongly reminded me of Oren Lavie’s “Her Morning Elegance,” which is another stop-motion music video (and a better one, in my opinion). That said, there is something really cool and interesting about the techniques used and how creative one can get with this kind of camera work, and Leessang definitely kept me curious as to what would come next. Nah, they’re just playing around with different things you can do with stop-motion. My favorite part was the stop-motion dancing. 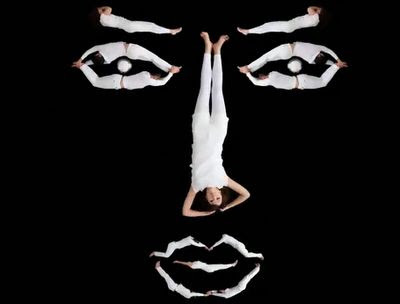 The possibilities are endless, and I was pleased to see how creative and charming this video was. Things do get a little bit dirty (matching the kinda sexual lyrics) both in the part below and when they zoom in on a still frame of the girl’s crotch for some reason. Although there is a cute dance scene early on and it’s repeated later, there wasn’t official choreography. 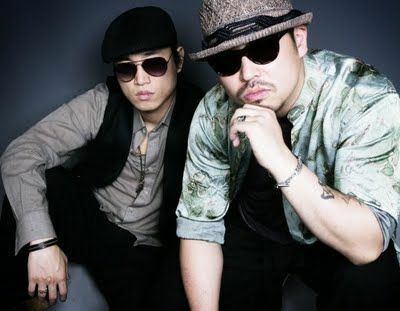 Leessang is a hip-hop duo with Gary (rapper) and Gil (vocalist). However, I apparently have no idea who is in this music video. I thought it was Gil, 10 CM’s Kwon Jung-yul (who sang beautifully on the track), and Tasha Reid (a.k.a. Yoon Mi Rae), Kpop Queen of Soul, but I’ve been told that’s inaccurate. If you know, please tell me. It almost looks like a flag. The girl whose name I don’t know was the star of this video and gave it a lovely pleasant feel. I loved how her curly hair was always spread out like she was in a wind machine. Although I applaud Leessang for writing something different here, I’m afraid it’s too mellow for my tastes. Like Crispi Crunch’s “Thumbs Up”, this is another hip hop duo who released interesting teasers to promote their title track. I approve of cool teasers! Yeah, although for me that main riff is STILL stuck in my head and has been all weekend! Aargh! The girl in the MV wasn't Tasha. And i don't think the men were Gil & Kwon Jungyeol either.